Some patients do not meet the requirements for a facelift, but also would not have ideal results with liposuction of the neck alone. A neck lift is a wonderful procedure where through a small incision under the chin, the fat is reduced and the muscles are tightened to achieve a crisp neck line. The results are impressive and can improve your overall appearance. The necklift procedure is an outpatient procedure performed under general anesthesia and takes approximately two hours to complete. You will wear a garment around your head for one week to keep swelling down. 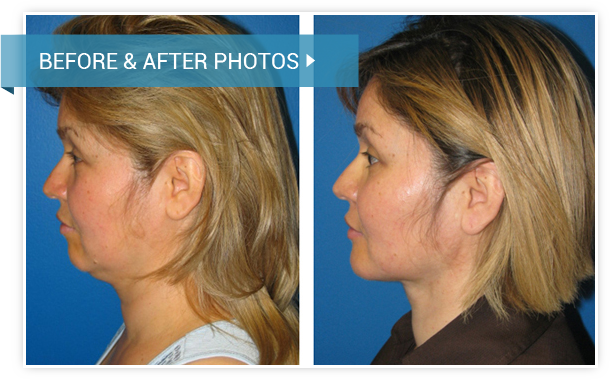 Dr. Dadvand’s necklift procedures have almost immediate results that remain long lasting.